Politicians could be barred from making decisions on media mergers under measures to be included in a new communications bill, the culture secretary, Jeremy Hunt, has said. The proposal would end the arrangement under which the business secretary can block the acquisition of media companies on public interest grounds. Hunt told the Royal Television Society convention that the proposed takeover of BSkyB by News Corporation, which was abandoned at the height of the phone-hacking scandal that engulfed Rupert Murdoch’s media company in July, raised questions over the role politicians played in approving such deals. “I was very conscious in the recent BSkyB bid that however fairly I ran the process, people were always going to question my motives,” he said. Hunt also confirmed that regulators, including Ofcom and the Competition Commission, could be allowed to launch investigations into media plurality without the trigger of a takeover bid: “I believe media plurality should mirror competition policy more closely, with independent regulators given the right to start investigations into media plurality and propose remedies to protect plurality even in the absence of corporate transactions. They include forcing advertisers to remove their content from websites carrying illegal material and making banks and credit card companies responsible for removing their payment services. He said Internet service providers should force their customers to opt in or out of parental control safeguards when they sign contracts in order to better protect children from offensive content. 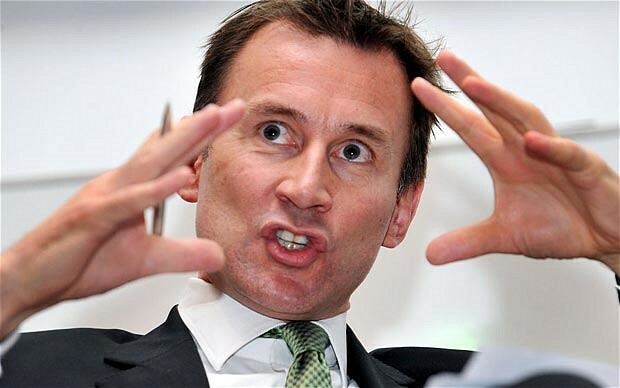 The measures outlined by Hunt are likely to be included in a green paper to be published by the end of the year. A draft communications bill is expected by April 2013, with a new act expected to be passed by 2015.